Our group at Columbia runs a state-of-the art laboratory for optical and nano-optical characterization of complex materials. Versatility of infrared and optical methods can be appreciated from a quick inspection of characteristic energy scales in solids which all fall in the frequency range that can be covered using a series of instruments available in our group. 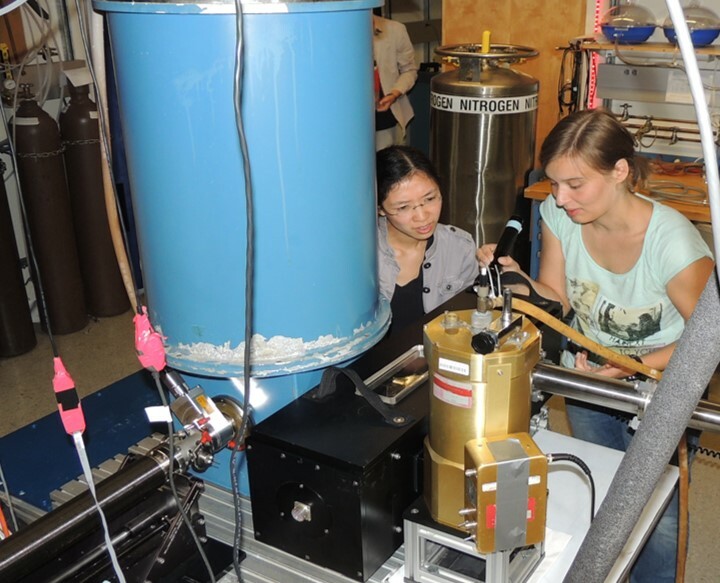 Development of novel spectroscopic instrumentation is an integral part of our research effort. Spatial resolution 10 nm, scanned area 50×50 μm2, Light sources: THz time domain; THz-QCLs (under construction), pump-probe capabilities. Home-built. 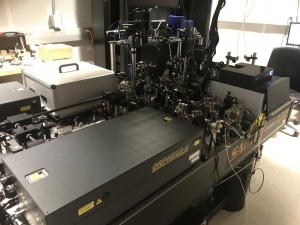 Combining intense ultrafast lasers with near-field microscopy creates novel opportunities for material exploration and discovery. Our beamline covers the spectral range of 660 -20,000 nm with a single light source. When used as a probe of a materials’ properties, this broadband radiation can be tuned to selectively interrogate specific electronic, vibrational or rotational modes in materials of interest. The information is acquired with 10 nm spatial resolution independent of the wavelength of radiation used. Similarly, a second light channel from the same source can be tuned to control, or pump, specific modes in the materials. By using an acousto-optic modulator to “turn-off” every other pump pulse, and isolating information from both ON and OFF probe pulses with digital boxcars we are able to reference the near-field signal on a pulse-to-pulse basis. 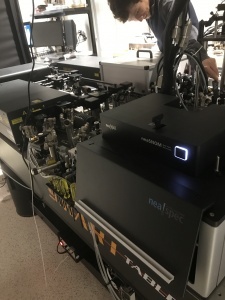 This extremely sensitive detection method is used to monitor the photo-excited and equilibrium states of materials with nanometer spatial resolution and femtosecond temporal resolution. The nano-meter scale confinement of probe radiation further implies that we probe a finite momentum, well outside what can be accessed by conventional optics. 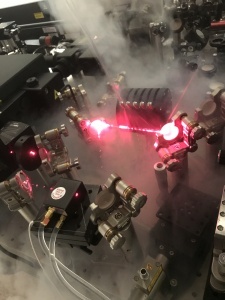 The ultrafast nano-IR beamline provides access to photo-excited states with momenta in-between what can be accessed by conventional optics and x-ray sources in a tabletop setting. 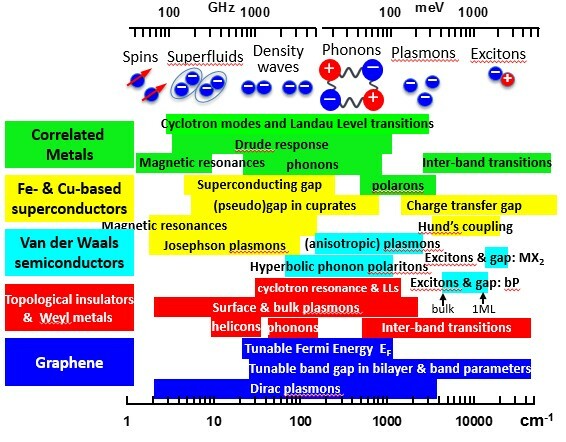 These studies have been applied to Ultrafast plasmons in Graphene, as well as Plasmonic modes in InAs. Table 1. 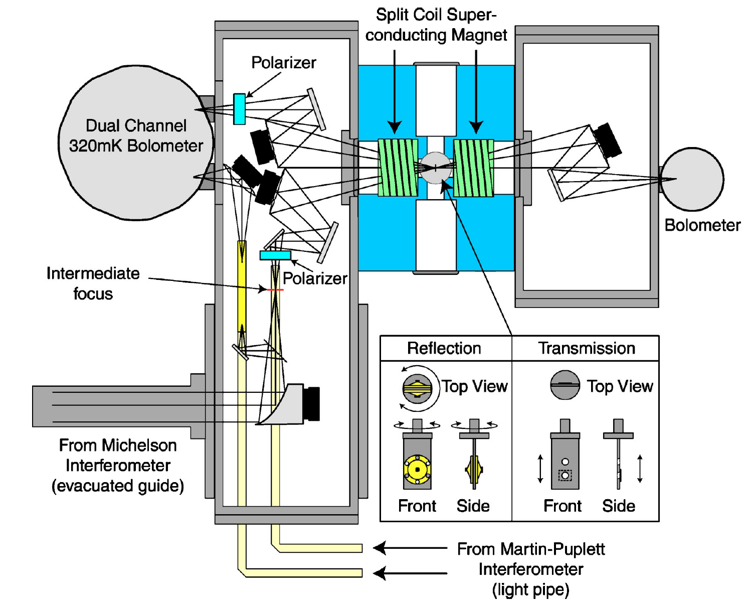 Experimental characteristics of spectroscopic instruments available in the Basov laboratory at Columbia.